During the Middle Ages, Christmas was seen as a sacred time, the time for the three Christ-Masses. Charitable giving to the poor was encouraged on Saint Stephen's day, December 26, which we know as Boxing Day. On Boxing Day in the middle ages, the poor received money in hollow clay pots with a slit in the top, nicknamed 'piggies'. Unlike modern piggy banks, these clay pots had to be broken to extract the cash. A page from the Bedford Hours. What about gift-giving among other classes? Sacred gifts - of prayer books and so on - were seen as being appropriate for the holy Christmas period. Anne of Burgundy presented the Bedford Hours to Henry VI, her eight-year-old nephew, in 1430. The book is now at the British Library. Gifts were sometimes given at the New Year. New Year's day, known at the time as the étrenne, a word derived from the Latin strena, (used to mean both the gifts and the ritual exchange) was the traditional time to do so. Gifts might be food -Christmas was a time of feasting and, for example, it was considered bad luck to refuse a Christmas mince pie given by a host. A Christmas kiss of peace might be given under the green kissing bough of holly and other green-stuff and mistletoe, the plant of peace. Sometimes the 'gift' might be a joke, such as the 'book' given by the illuminators of Les Tres Riches Heures to the Duke de Berry, which turned out to be a block of wood. At times the gifts were part of very formal processions and ceremonies. At the courts of Henry Tudor and Richard II the king rose on the day of the New Year and seated himself in his chamber ready to give and receive presents, given and received in strict order or rank. Sometimes the heralds and messengers bringing such gifts could also find themselves rewarded, as happened in the court of Richard II when the carver of the King was given a gold cup by the French King Charles. Kings and Queens could exchange gifts, often of rich jewels, as a public show of respect and affection. Rulers were expected to be generous but at the same time the size and value of gifts were ranged in order of class - kings and queens, their families, nobles, servants, right down to laundresses and cleaning-women. In some years, certain symbols might be used in gifts. In 1422 at the court of Charles VI, small jewels shaped like peacocks were given out to courtiers - the peacock being one of Charles's badges. In medieval England, such gift-giving also went on. People gave New Year’s gifts to those above and below them in the social hierarchy. For example, peasants who worked on landed estates brought gifts of farm produce to the local lord during the Twelve Days of Christmas. Custom dictated that the lord respond by inviting them to a Christmas feast. Personal gifts between people of equal status might have taken place but there are few records of such. In the records and for many kings and nobles, gift-giving meant ostentation and display. Christmas and gift-giving features in several of my books. 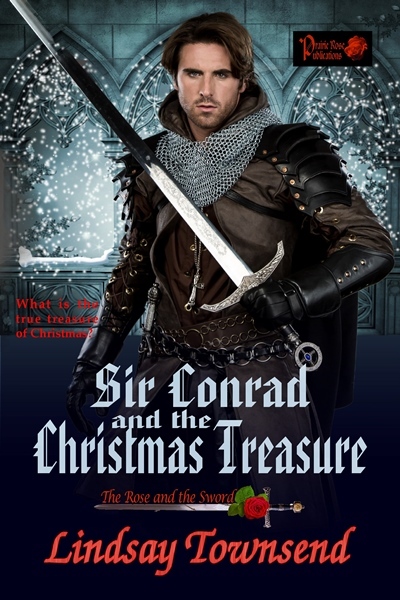 In my latest medieval romance, "Sir Conrad and the Christmas Treasure" I show my hero and heroine taking part in several medieval Christmas customs, including winter hunts, gathering and displaying Christmas greenery, Christmas fairs and dancing carols. In the dark time of the year and the winter solstice, there might also be spirits and ghosts. 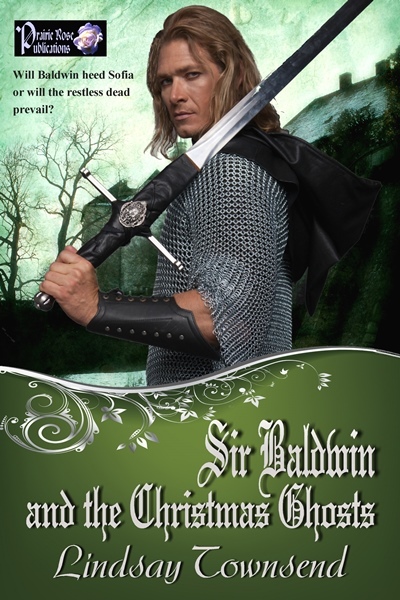 My Christmas novella "Sir Baldwin and the Christmas Ghosts"
have Sir Baldwin and Sofia seeking to placate the restless dead in time for Christmas.